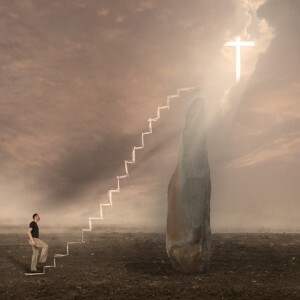 © If then you have been raised with Christ, aim at and seek the eternal treasures that are above, where Christ is, seated at the right hand of God. (4) I know a man in Christ who fourteen years ago — whether in the body or out of the body I do not know, God knows — was caught up to the third heaven. This is where our “PACKAGE DEAL”/“ONENESS” with God is revealed/made manifest – “When Christ who is our life appears, then you also will appear with Him in glory.” (Colossians 3:4) NKJV The Greek word used for “appear” can also mean “render apparent” or “to make known” which means that Jesus’ character can be revealed to you by your having an intimate spiritual relationship with Him without your actually having seen Him physically. ← WHY is this BOOKLET so IMPORTANT? WHY is this BOOKLET so IMPORTANT? WHAT IS SPIRITUAL SEGREGATION and SPIRITUAL RACISM? WHAT DOES IT MEAN for GOD to BE OUR "VITAL NECESSITY?" DOES GOD LIVE IN YOU? DO YOU LIVE IN GOD? To MAKE OUR "ONENESS" COMPLETE, GOD ALLOWS US to PARTAKE of HIS DIVINE NATURE"
WHAT ALL DOES THIS "ONENESS" / "PACKAGE DEAL" WITH GOD REVEAL?